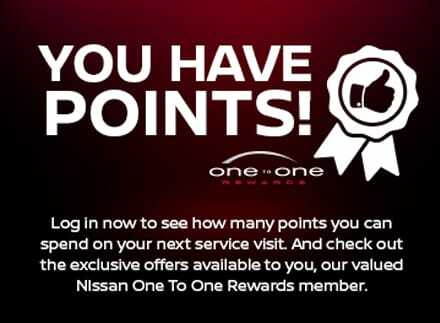 The Nissan One To One Rewards program is a loyalty program designed for YOU to earn valuable points at South Austin Nissan. You earn points based on every dollar you spend at South Austin Nissan. You can then redeem those points on your next service visit, for parts or accessories purchases, or, if you choose, for your next new or used vehicle purchased at South Austin Nissan. Rewards+Plus gives you even more opportunities to earn points by shopping online with over 500 leading retailers. This exciting feature allows you to shop online and each purchase earns you bonus points that can be used exclusively at South Austin Nissan. Select retailers also offer exclusive retail discounts and coupons up to 35% off! When you enroll in this program, we will preload your One to One Rewards card with sales and service points. And every time you have a consumer-pay transaction at South Austin Nissan, you will earn a percentage of your purchase back on your card. 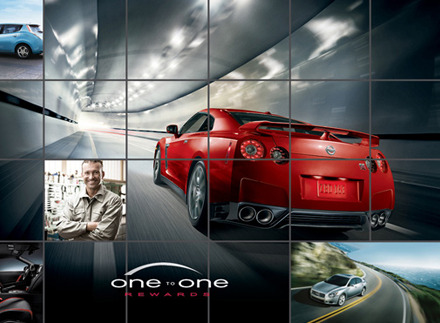 The One to One Rewards program card costs you nothing at Central Houston Nissan. It is our way of rewarding our best consumers. As a South Austin Nissan One to One Rewards Member, you earn a generous reward on all consumer-pay purchases (pretax) in our service, parts, and collision repair departments. You can use your purchase points to pay for your next dealership visit or let them accumulate.